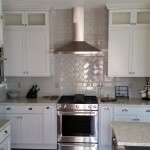 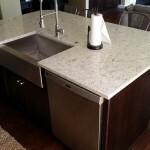 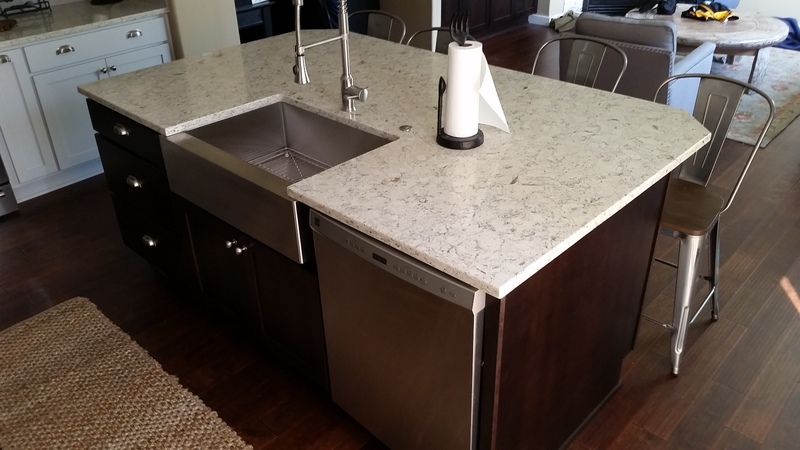 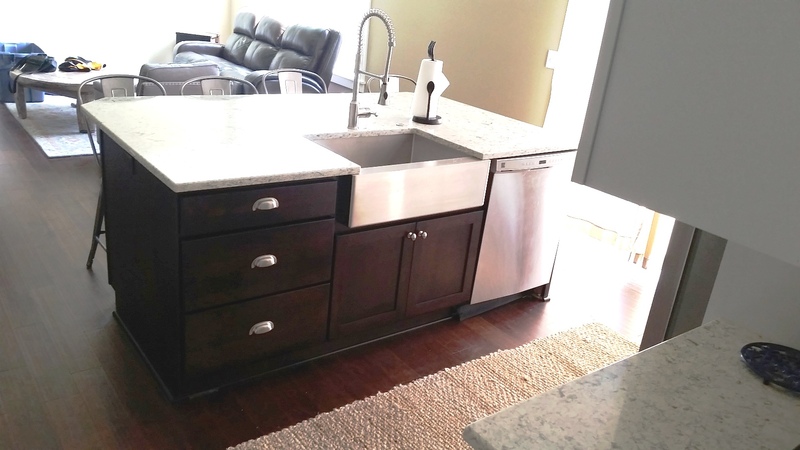 We got rid of the peninsula and designed a really nice island with a stainless steel Farmhouse Sink! 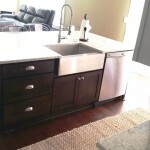 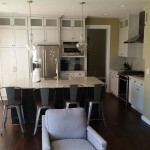 We made the island Cherry Espresso stain to compliment the White painted perimeter! 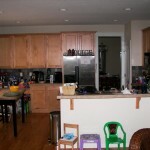 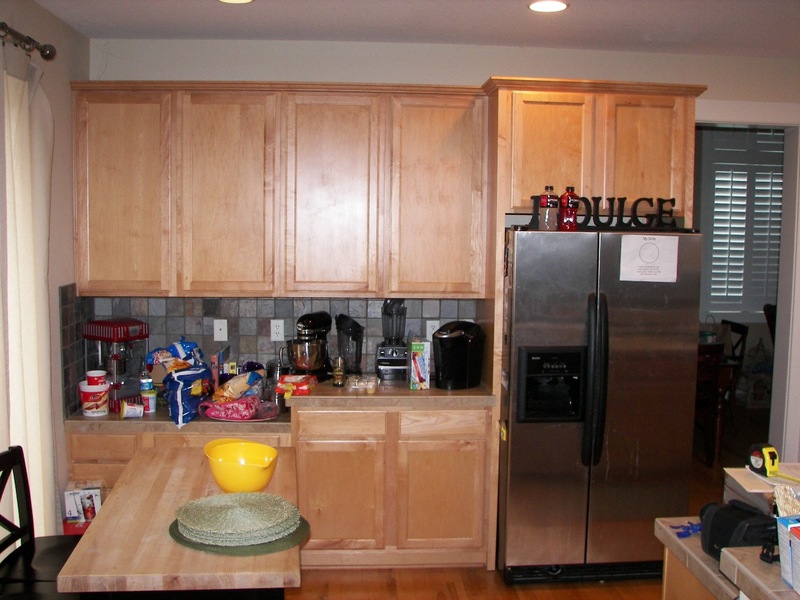 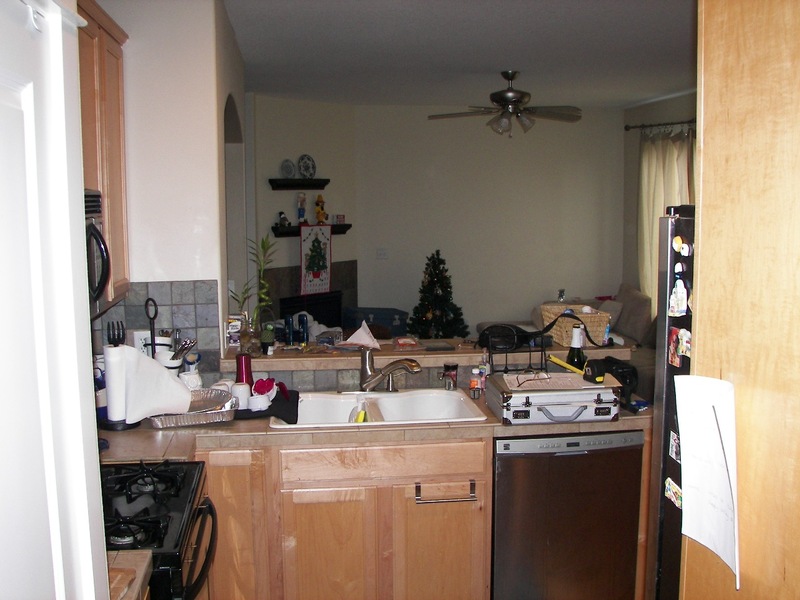 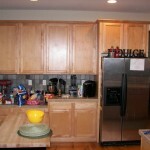 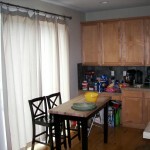 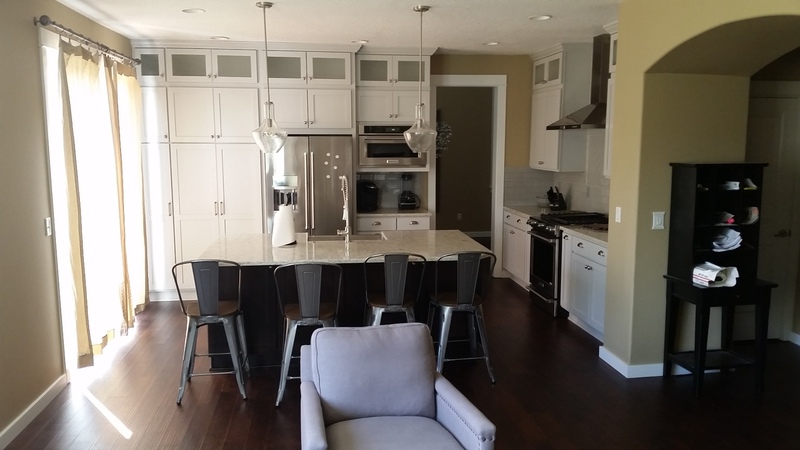 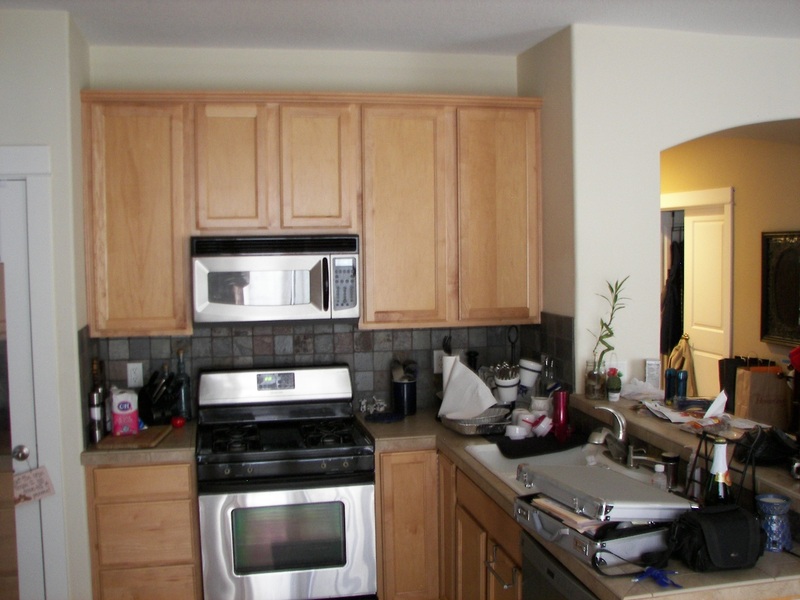 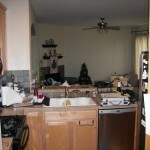 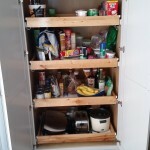 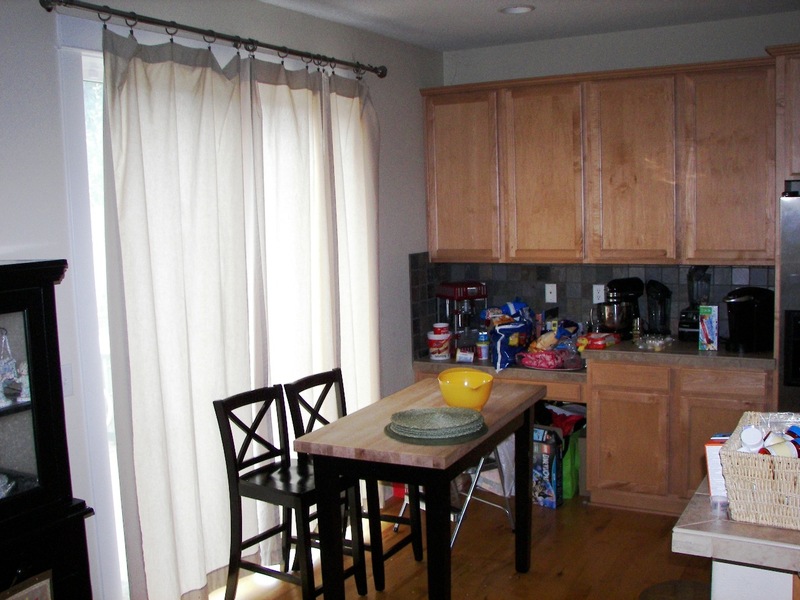 We added 2 pantries and a broom closet where there were just base cabinets and wall cabinets before for more storage. 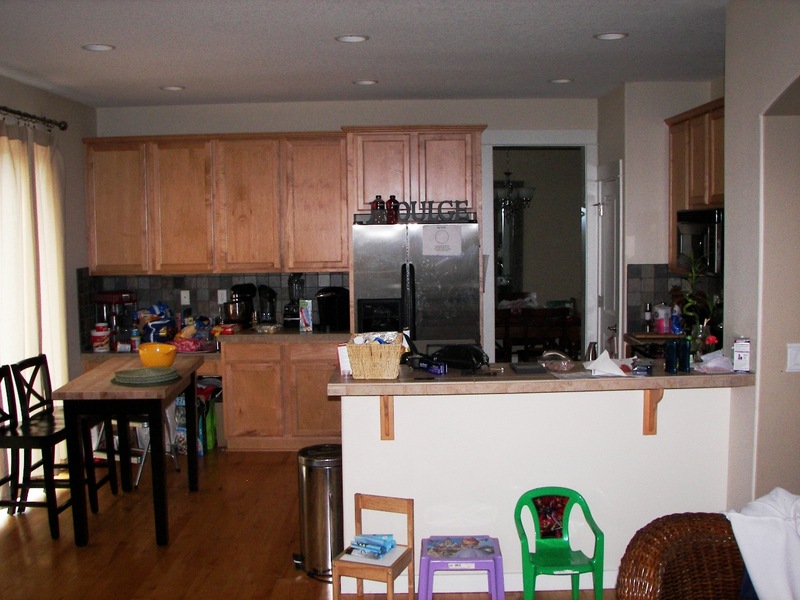 By getting rid of the peninsula we were able to center the range on the wall and give good working room on each side. 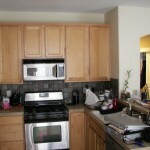 We also gave the moved the microwave cabinet off of the counter. 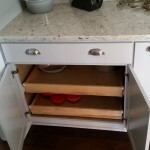 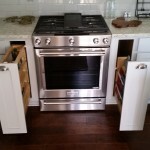 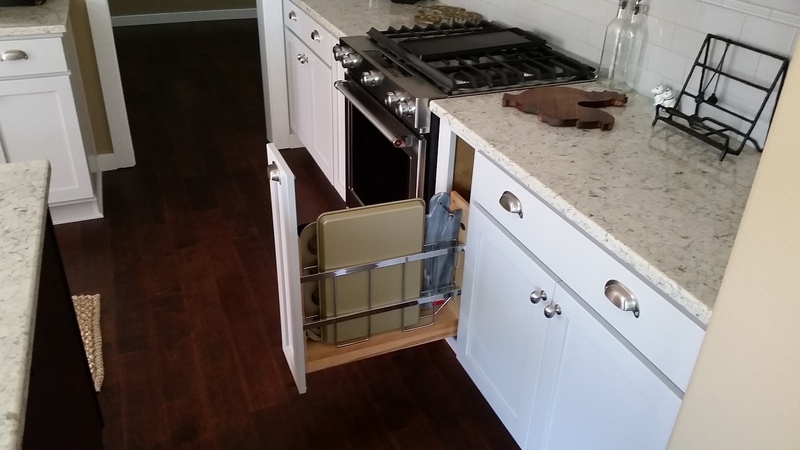 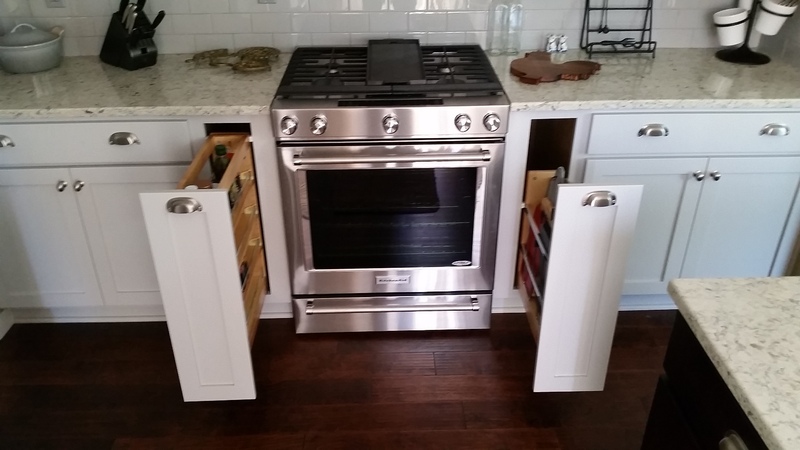 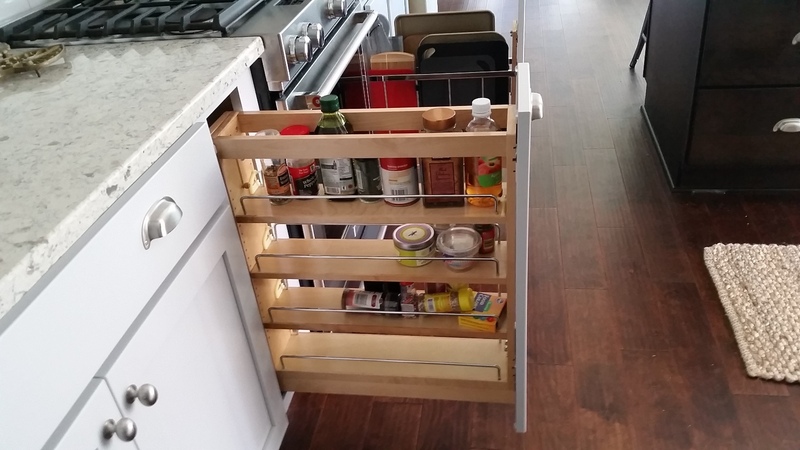 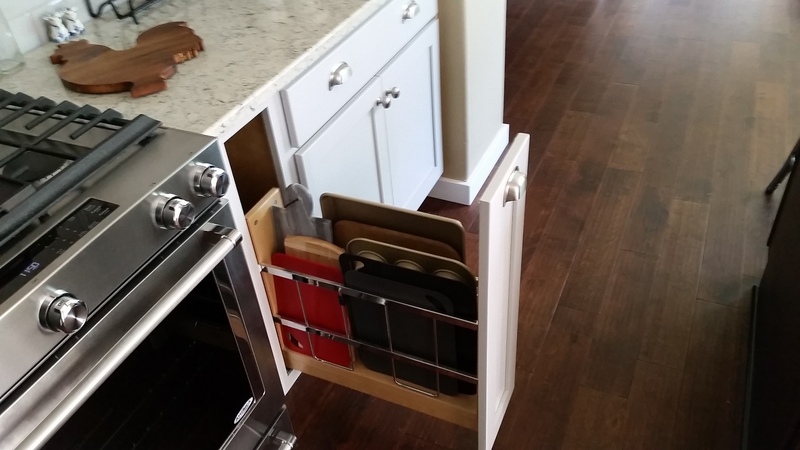 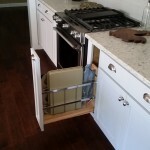 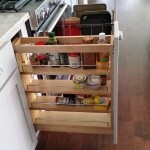 We used a pull out spice rack and a pull out cookie sheet divider on each side of the range. 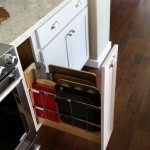 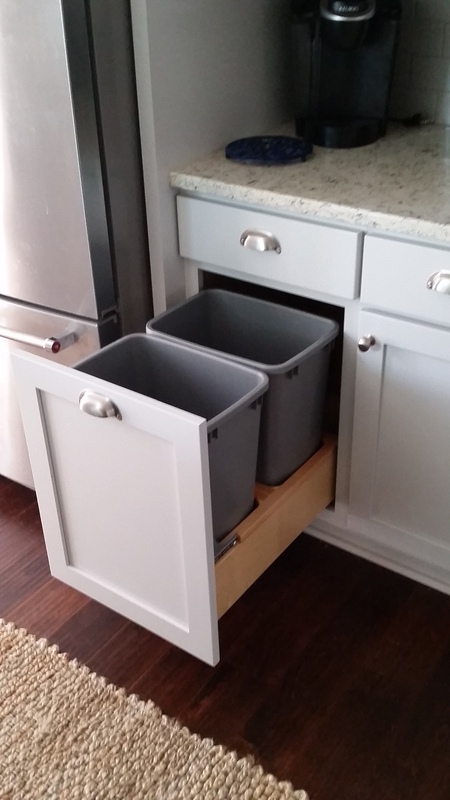 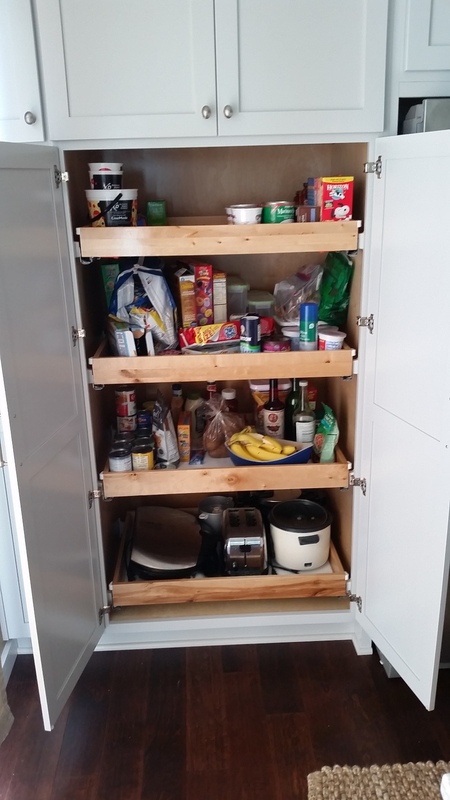 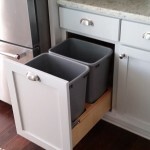 We also used roll out drawers where ever we could for ease of access. 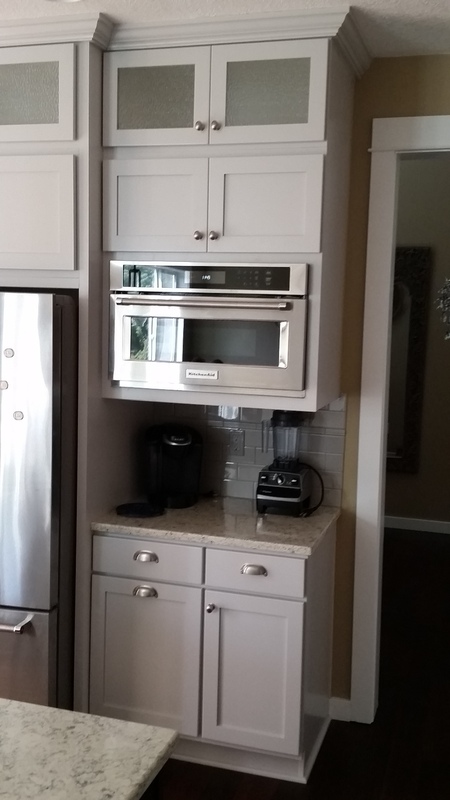 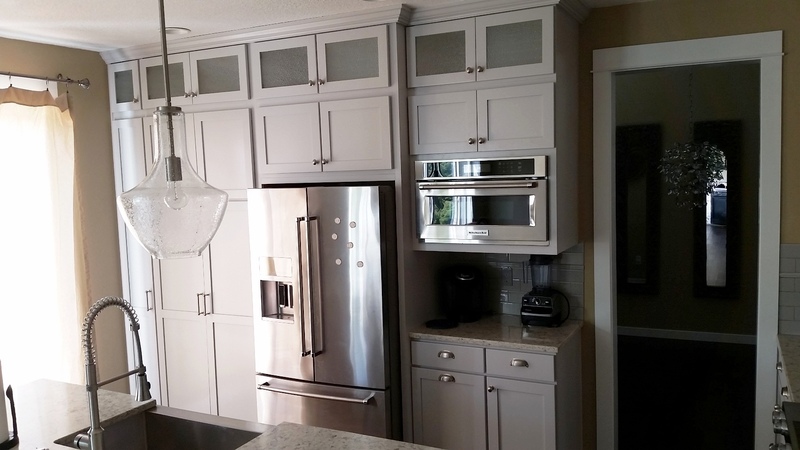 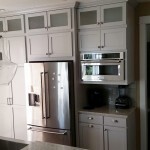 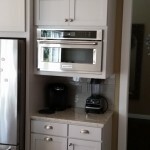 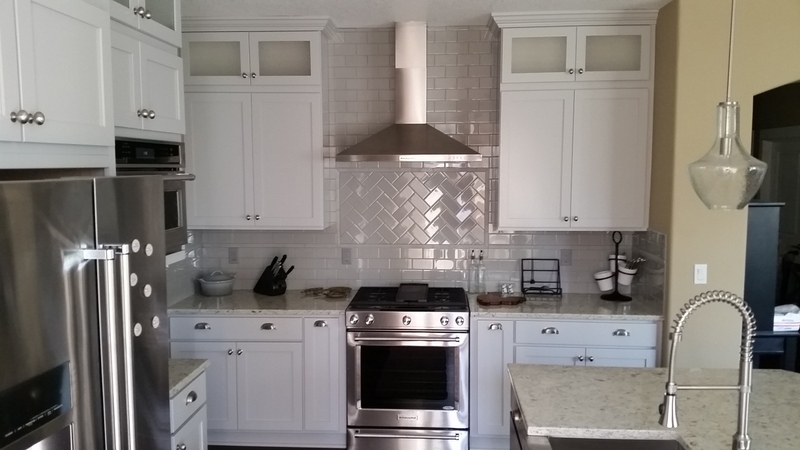 We took the cabinets to the ceiling with a stacked wall cabinet door and added obscure glass to the upper section, so that they would still have the glass look be hide things in the cabinets. 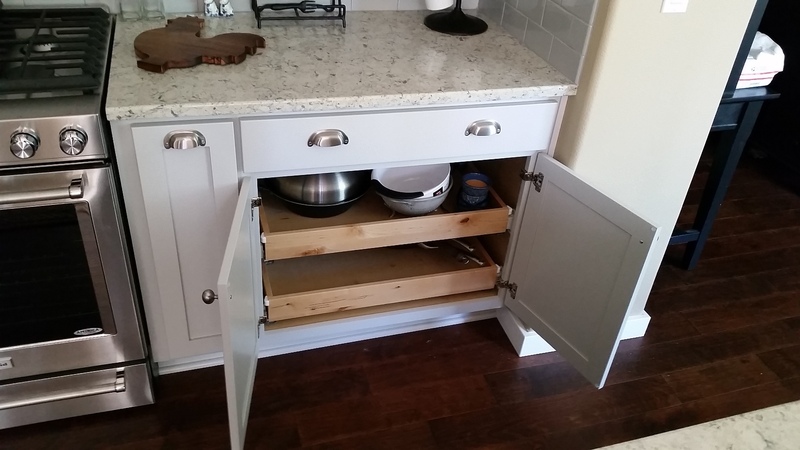 The cabinets have Hardwood Dovetail drawers, Full ext. 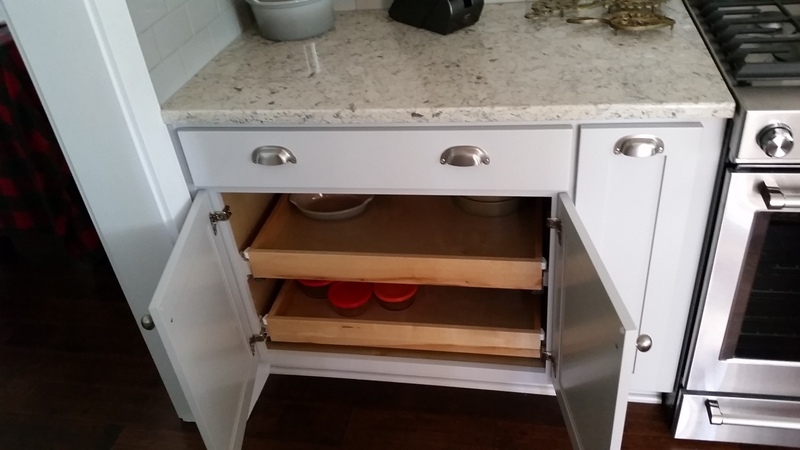 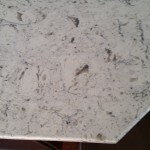 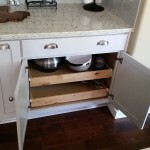 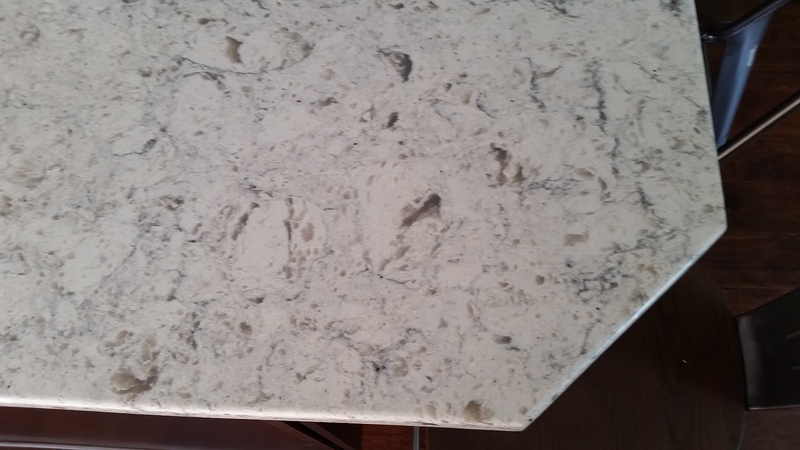 soft close drawer glides and are all natural maple plywood construction! 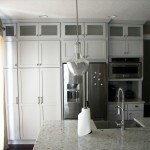 We used a 2 step style crown molding to the ceiling! 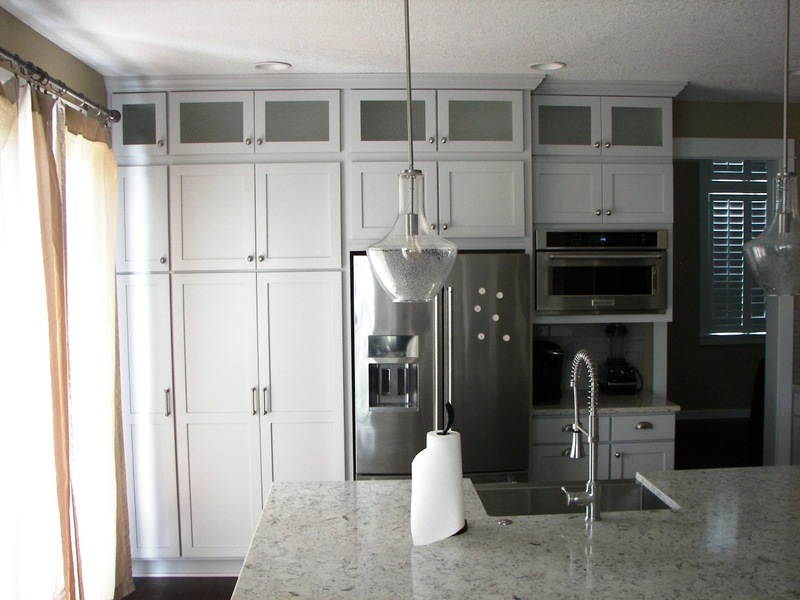 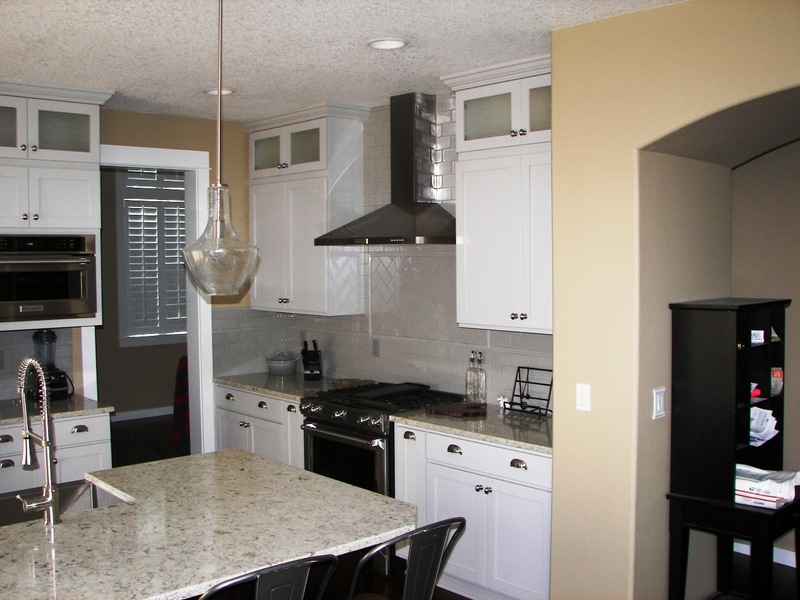 We are a family owned business that has been helping our customers realize their remodeling dreams for over twenty years! 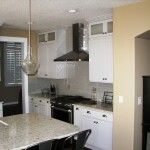 Contact Us Via Email Here!